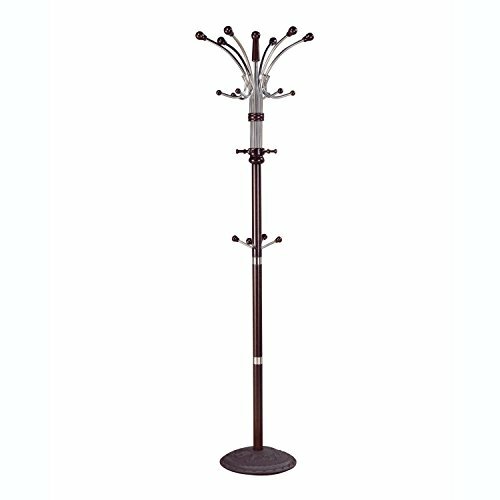 Hubert collection coat rack hat stand comes in espresso finish. Features coat hooks on top and middle. Great and practical in use for any home and office. Made of iron tube and 43-mm wooden material. Some assembly may be required. Made in Taiwan. This product weighs 20-pound. Measures 14-inch length by 14-inch width by 74-inch height. Catch coats and scarves in the entryway with this bobbi coat rack. Featuring a turned post with two tiers of hooks and one umbrella base stand, it will be the perfect piece of you to keep garments organized. Not only being functional, it will become a decorative accent for any home. The Hubert coat rack brings style and functionality to your hall or living room with this compact piece. Featuring a combination of wood and metal, the rack provides multiple hooks and pegs to keep everyday items like coats and hats neatly in place. Make the most of a compact space by tucking this coat rack into your favorite corner. Size: 14"W x 14"L x 74"H Material: Wood Finish: Natural Assembly is required. Grady collection coat rack is designed to be practical in use and to beautify your home decor. Available in natural finish. Made of solid wood material. Some assembly may be required. Made in Taiwan. This product weighs 26-pound. Measures 2-inch diameter by 74-inch height. The clean lines and simplistic design of this Greg coat Rack makes it easy to mix and match with existing decor. The coat rack's S shape makes it unique and the metal plate provides a durable base, while plenty of hooks jut out in every direction and provide generous hanging space for hats, coats and jackets. The Blair coat rack is not only a great modern piece for your Entry way but provides function. It provides easy access for you to hang coats and belongings by the doorway. Crafted with durable metal and wood, it guarantees for long time use. Grady collection coat rack is designed to be practical in use and to beautify your home decor. Available in cherry finish. Made of solid wood material. Some assembly may be required. Made in Taiwan. This product weighs 26-pound. Measures 2-inch diameter by 74-inch height. Coat Rack Hat Stand in Espresso Finish;Home Decor;Home Decor->Coat Racks;Some assembly may be required. Please see product details. The Rubis rack is just what you need for those articles of clothing often used. And it also has extra drawer space to hold the little things that do not need to be out as clutter. With its natural finish it will be able to adapt to any room environment. 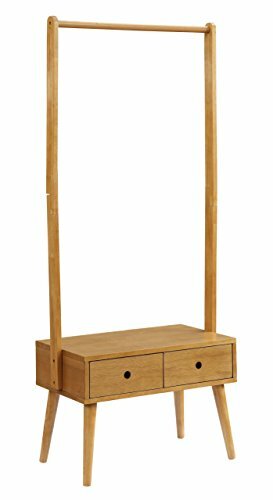 Size: 14"W x 14"L x 74"H Finish: Oak Material: Wood Assembly is required. Organize your closet with this metal garment rack. 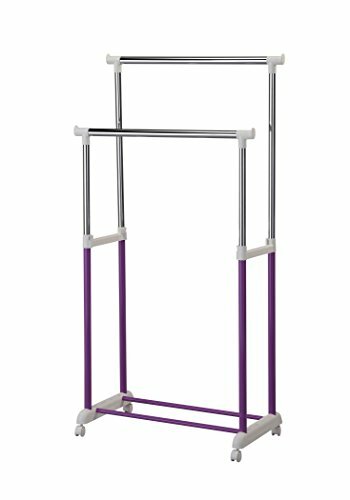 Featuring two hanging rods, this rack allows you to keep your garment neat and tidy. The casters allow for easy movement throughout your home. Some Assembly Required. The Hubert Coat Rack brings style and functionality to your hall or living room with this compact piece. Features wooden post with hanging hooks at its top and middle which is complemented by its sturdy base. Make the most of a compact space by tucking this coat rack into your favorite corner. Add a unique touch to your entryway with the Acme Furniture Trudy S-Shaped Coat Rack. The S-shape design offers plenty of hooks that jut out in many directions so you’ll never run out of room to hang your coats, jackets, and scarves. Hubert collection coat rack hat stand comes in espresso finish. Features coat hooks on top and middle. Great and practical in use for any home and office. Made of iron tube and 43-mm wooden material. Some assembly may be required. Made in Taiwan. This product weighs 20-pound. Measures 14-inch length by 14-inch width by 74-inch height. If you have any further questions, please feel free to contact us. We look forward to serving you in the future. Dimension: 14"W x 14"D x 74"HFinish: EspressoMaterial: MetalCoat Rack Hat Stand in Espresso FinishFeatures coat hooks on top and middle.Great and practical in use for any home and office.Also available in natural, oak and white.Assembly required. If you have any further questions, please feel free to contact us. We look forward to serving you in the future. This coat rack is sure to dress up any home. It's perfect for adding a touch of style to your entranceway or just as a functional item that will hold your coats. Catch coats and scarves in the entryway with this Bobbi coat rack. Featuring a turned post with two tiers of hooks and one umbrella base stand, it will be the perfect piece of you to keep garments organized. Not only being fuctional, it will become a decorative accent for any home. Add sophistication to your hall or entryway with the Acme Furniture Grady Coat Rack. This beautiful wood piece features a turned post with hanging pegs and complemented by curved feet and rounded finial crowns. This compact piece provides ample storage space for all your outdoor gear. The Blaire coat rack is not only a great modern piece for your entry way but provides function. It provides easy access for you to hang coats and belongings by the doorway. Crafted with durable metal and wood, it guarantees for long time use. * Feature:This multipurpose coat and shoe rack is constructed of antirust powder coated metal tube. It combines the coat hanger, shoe rack and hanging rail to create a neat and organized storage space for your clothes, hats, umbrellas, shoes, etc. This entryway storage features with a hanging rack, 18 hooks and 3-tier shoe rack for ample storage space. It's an ideal choice for organizing your bedroom, office and a good storage solution in the entryway. * Specification: Material: Powder Coated Iron Dimension: 27.4 x 12.8 x 73.8'' (LxWxH) G.W. : 17.7 lb Max. Load Capacity Upper Hanging Rack: 17.6 lb Hook Hanger (Each): 8.8 lb Shoe Rack: 88.2 lb Color: White * Package included: 1 x Coat and Shoe Rack * Please Note: Please don't stand or sit on the shoe rack. Please don't overload the rack, otherwise it may tilt or fall down. With its classic design and rich finish, this coat rack is sure to dress up any home. It's perfect for adding a touch of style to your entranceway or even simply as a functional item that will hold your coats. Features like a spinning top and double- and triple-tiered hooks enhance the functionality of any space and keep everyday items like coats, hats and jackets neatly in place. Looking for more Acme Coat Rack similar ideas? Try to explore these searches: Usage Meter, Boch Basket, and Head Gasket Bolts. 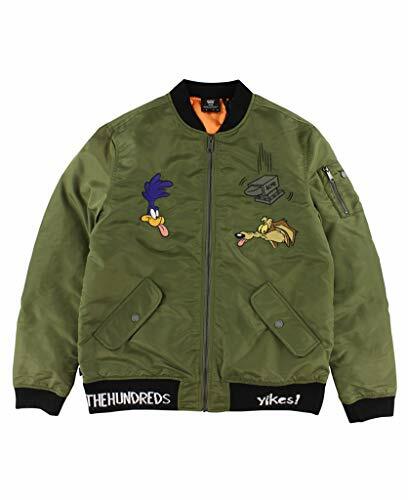 BlesDeal.com is the smartest way for online shopping: compare prices of leading online stores for best Acme Coat Rack gift ideas, Acme Coat Rack deals, and popular accessories. Don't miss TOP deals updated daily.